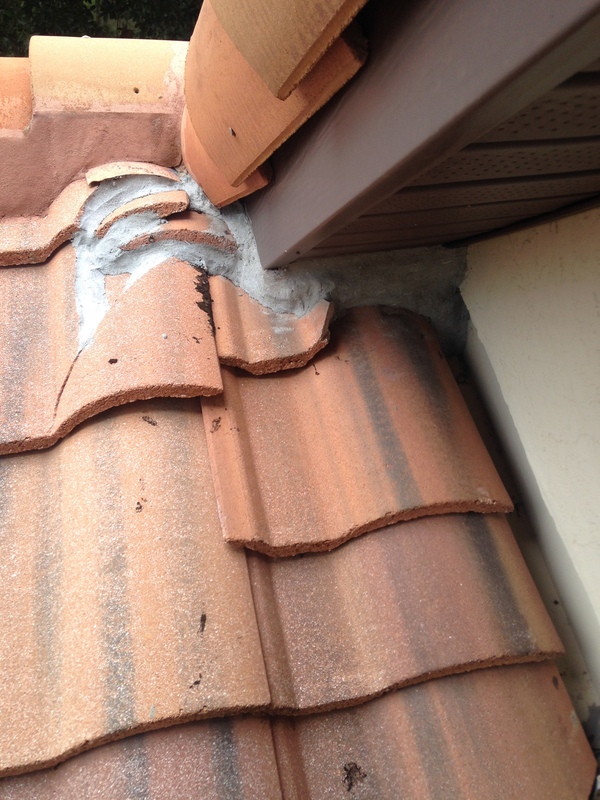 This house had critter problems and the owner hired a Pest control company to critter proof their roof. They did much damage to the tiles and this was just one of the many on this house that had to be repaired. 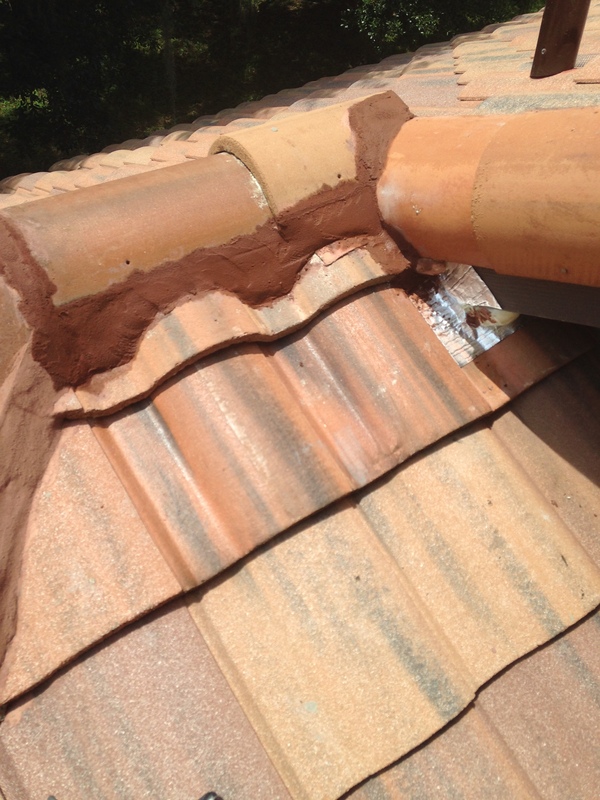 I offer critter proofing on tile roofs without all the damage done like other trades do.